Feeling INSPIRED? Take some notes, ok? 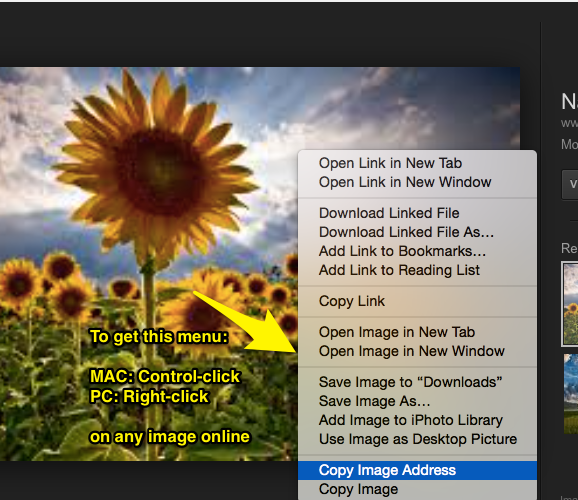 Paste Image URLs !!! !!! !!! 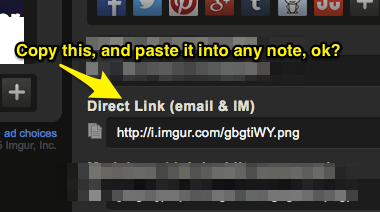 just paste an image or YouTube urls into any note to make an image note, ok? Maybe you should begin every day with METANOTES first. Smart Fix offer Smart Phone Repair Service in Las Vegas. We Offer Repair Services for iPhone, Smart Phones, Samsung Smart Phones, HTC and LG Smart Phones in Las Vegas. We repair water damage, Screen Repair, Charging Port, button Replacement and Many More in Las Vegas at Affordable prices. You are the first person not named beppu to contribute code to MetaNotes. That makes you very special. For those who have to brainstorm every day. You can create as many spaces as you wish for now, ok? Have fun. Rather than exploring xanalogy maybe we should simply marvel at tangents being relevant to that old dream, then move right on into "how would lady gaga's fanbase want to use this?" etc. a goal note is created when new space is created. I've written some code to keep track of who is online and what space they're currently on. I just have to display it somewhere. It'll probably go in a panel. I've started using webpack, so I will be able to compress some of the assets I serve up better. Also, I wrote notes on what we talked about during your visit. Dari pengalaman saya sebelumnya, saya memesan tiket dari situs jejaring https://www.redbus.id/tiket-bus/semarang-ke-bandung. Karena tidak banyak orang disini yang suka pergi ke Kota Bandung, maka hanya ada dua operator untuk bus yang menuju ke kota ini. Pahala Kencana memiliki sekitar 10 bus yang melakukan perjalanan satu hari dari jam 08.00 pagi sampai jam 17.30 di sore hari. Karena Pahala Kencana adalah operator bus wisata eksekutif, harga tiket yang diberikan mulai dari IDR 180.000,- keatas. Let's not spend 40+ years on a project and have nothing to show for it. Executive Parking is one of the leading valet companies in Miami which provide safe and convenient valet parking services for hotels, shopping malls, private parties, special gathering like wedding events. We are a company large enough to service all your valet needs and small enough to give you the individual attention you deserve in Miami. The Joy Of Notes... ask yourself questions? let's not make ted cry. One among the numerous states of southern India comes the royal state of Hyderabad, known for the residence of ‘Nawabs’ (kings). Relatively noted for its spicy and scrumptious biryani along with famous places of visit such as the Charminar, the Golconda castle and many more. This city is one of the bustling and exulted areas in the southern region. I came up with travelling plans to Hyderabad from Guntur. I always wanted to experience the rich culture and heritage of this famous city. Moreover, Hyderabad is well linked with roadways as it serve commuters on daily basis. I booked tickets from and it helped me to find a suitable bus within a quick time. I would love to anyone as this might help him or her to get discounts and travel without facing any hiccups. I boarded the bus from Mangalagiri pick up point at 11:30pm and reached Hyderabad at 5am where I got down at Lb Nagar. It took almost 7 hours to cover the distance of 310 kms. The Ac semi sleeper Multi Axle bus was very relaxing. Besides, the bus gave rest stops where all the passengers took refreshments. The route between Guntur to Hyderabad has been dotted with many boarding points and stops along its journey. This makes it actually very convenient for folks commuting from Guntur to Hyderabad. I was visiting Hyderabad for the first time, came here for a 2-days trip where I had a plan to meet an old school friend. There are various identified bus operators plying their buses between the two cities and opting them should not be difficult. Guntur is located in Andhra Pradesh and is considered one of the popular cities. There are many places of interests in Guntur such as the Bhattiprolu, Sitanagaram and Amravati. The journey by road is usually a tiring part yet the memories that I have gathered were priceless! Not for organizing thoughts. Being already overextended, it's kind of intimidating. But beautiful. It's going to stop being an iframe. It's going to be a React component like the Who's Online panel. It should load a lot faster. 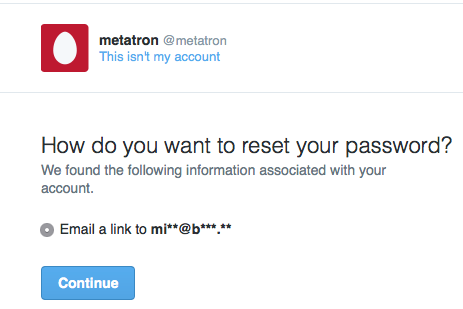 I notice MetaNotes sometimes has a 503 gateway error, too. I'm going to eventually move MetaNotes off of RackSpace and on to a more performant server on DigitalOcean. Thanks for making an account. This has become my fun side project away from work. TIPS: How can you use this like a pro? Use the Spaces menu to Create a New Space. Double click the background to create a New Note. * Start a line with the character # to make big words. Put image or YouTube URLs into notes to spice things up. You can change the color of a note by clicking the Gear menu. Invite other users to a space if you want to "note chat" like you can see us doing on this space right here... it's REAL-TIME. How do I get a URL for an image to paste into my METANOTES? the classic way to get a URL... or use IMGUR! I love most questions with "Why?" because when answered they lead to either WISHES or REASONS. Maybe popularity ought to follow along with how easily one can create a reflection of oneself on a website. Facebook is a "mirror". One stares into the mirror all day like the Queen in Cinderella. It absorbs your thoughts but more it sends you a picture of one angle of yourself - a social self. Note that a user can be in more than one space (due to multiple tabs and/or devices). What can explain this brainstorming type thing to you so you'll start an account and start kicking around with it? What if Metatron responded to Wish Notes? The Pythia (/ˈpɪθiə/, Greek: Πυθία [pyːˈtʰi.a]), commonly known as the Oracle of Delphi, was the name of any priestess throughout the history of Temple of Apollo at Delphi, located on the slopes of Mount Parnassus, beneath the Castalian Spring (the new priestess was selected after the death of the current priestess). The Pythia was widely credited for her prophecies inspired by Apollo. The Delphic oracle was established in the 8th century BC. Since the first operation of the oracle of Delphi Temple, it was believed that the God lived within a laurel (his holy plant) and gave oracles for the future with the rustling of the leaves. It was also said that the art of divination had been taught to the God by the three winged sisters of Parnassus, the Thriae, at the time when Apollo was grazing his cattle there. The Thriae used to have a Kliromanteion (oracle by lot) in that area in the past and it is possible that such was the first oracle of Delphi, ie using the lot (throwing lots in a container and pulling a lot, the color and shape of which were of particular importance). Three oracles had successively operated in Delphi – the chthonion using egkoimisi (procedure that involved sleeping in the Holy place, so as to see a revealing dream), the Kliromanteion and finally the Apollonian, with the laurel. But ever since the introduction of the cult of Dionysus at Delphi, the God that brought his fans into ecstasy and madness, the Delphic God gave oracles through Pythia, who also fell into a trance under the influence of vapors and fumes coming from the opening, the inner sanctum of the Oracle. Pythia sat on top of a tall gilded tripod that stood above the opening. In the old days, Pythia was a virgin, young girl, but ever since Echecrates from Thessaly fell in love, kidnapped and violated a young and beautiful Pythia, a woman older than fifty years old was chosen, but still a virgin who dressed and wore jewelry to resemble to a young maiden girl. According to tradition, Phemonoe was the first Pythia. the Pythia was (on occasion) a noble of aristocratic family, sometimes a peasant, sometimes rich, sometimes poor, sometimes old, sometimes young, sometimes a very lettered and educated woman to whom somebody like the high priest and the philosopher Plutarch would dedicate essays, other times who could not write her own name. So it seems to have been aptitude rather than any ascribed status that made these women eligible to be Pythias and speak for the god. The job of a priestess, especially the Pythia, was a respectable career for Greek women. Priestesses enjoyed many liberties and rewards for their societal position, such as freedom from taxation, the right to own property and attend public events, a salary and housing provided by the state, a wide range of duties depending on their affiliation, and often gold crowns. Plutarch said that the Pythia's life was shortened through the service of Apollo. The sessions were said to be exhausting. At the end of each period the Pythia would be like a runner after a race or a dancer after an ecstatic dance, which may have had a physical effect on the health of the Pythia. Several other officials served the oracle in addition to the Pythia. After 200 BC at any given time there were two priests of Apollo, who were in charge of the entire sanctuary; Plutarch, who served as a priest during the late first century and early second century CE, gives us the most information about the organization of the oracle at that time. Before 200 BC, while the temple was dedicated to Apollo, there was probably only one priest of Apollo. Priests were chosen from among the main citizens of Delphi, and were appointed for life. In addition to overseeing the oracle, priests would also conduct sacrifices at other festivals of Apollo, and had charge of the Pythian games. Earlier arrangements, before the temple became dedicated to Apollo, are not documented. The other officials associated with the oracle are less well known. These are the hosioi ("ὅσιοι", "holy ones") and the prophētai ("προφῆται", singular prophētēs). Prophētēs is the origin of the English word "prophet", but a better translation of the Greek word might be "one who speaks on behalf of another person." The prophetai are referred to in literary sources, but their function is unclear; it has been suggested that they interpreted the Pythia's prophecies, or even reformatted her utterances into verse, but it has also been argued that the term prophētēs is a generic reference to any cult officials of the sanctuary, including the Pythia. There were five hosioi, whose responsibilities are unknown, but may have been involved in some manner with the operation of the oracle. In the traditions associated with Apollo, the oracle only gave prophecies during the nine warmest days of each year. During winter months, Apollo was said to have deserted his temple, his place being taken by his divine half-brother Dionysus, whose tomb was also within the temple. It is not known whether the Oracle participated with the Dionysian rites of the Maenads or Thyades in the Korykion cave on Mount Parnassos, although Plutarch informs us that his friend Clea was both a Priestess to Apollo and to the secret rites of Dionysus. The male priests seem to have had their own ceremonies to the dying and resurrecting god. Apollo was said to return at the beginning of Spring, on the 7th day of the month of Bysios, his birthday. This also would reiterate the absences of the great goddess Demeter in winter also, which would have been a part of the earliest traditions. Once a month, thereafter, the oracle would undergo purification rites, including fasting, to ceremonially prepare the Pythia for communications with the divine. On the seventh day of each month, she would bathe in the Castalian Spring then would drink the holier waters of the Kassotis, which flowed closer to the temple, where a naiad possessing magical powers was said to live. Euripides described this ritual purification ceremony, starting first with the priest Ion dancing on the highest point of Mount Parnassus, going about his duties within the temple, and sprinkling the temple floor with holy water. The purification ceremonies always were performed on the seventh day of the month, which was sacred to and associated with the god Apollo. Carved into the entrance of the temple were two phrases, which seem to have played an important part in the later temple ritual: γνῶθι σεαυτὸν (gnōthi seautón = "know thyself") and μηδὲν ἄγαν (mēdén ágan = "nothing in excess"), and an enigmatic "E". According to Plutarch's essay on the meaning of the "E at Delphi"—the only literary source for the inscription, there have been various interpretations of this letter. It has been interpreted as the first letter of ἐγγύα πάρα δ'ἄτα (eggýa pára d'ata) = "make a pledge and mischief is nigh", In ancient times, the origin of these phrases was attributed to one or more of the Seven Sages of Greece. The Oracle then descended into the adyton (Greek for "inaccessible") and mounted her tripod seat, holding laurel leaves and a dish of Kassotis spring water into which she gazed. Nearby was the omphalos (Greek for "navel"), which was flanked by two solid gold eagles representing the authority of Zeus, and the cleft from which emerged the sacred pneuma. Consultants, carrying laurel branches sacred to Apollo, approached the temple along the winding upward course of the Sacred Way, bringing an animal for sacrifice in the forecourt of the temple, and a monetary fee. Petitioners drew lots to determine the order of admission, but representatives of a city-state or those who brought larger donations to Apollo were secured a higher place in line. The sacrificial animal, often a goat as representation of the site's discovery, was first showered with water and observed to ensure that it shivered from the hooves upward, an auspicious sign that the oracular reading could proceed. Upon sacrifice, the animal's organs, particularly its liver, were examined to ensure the signs were favorable. Plutarch describes the events of one session in which the omens were ill-favored, but the Oracle was consulted nonetheless. The priests proceeded to receive the prophecy, but the result was a hysterical uncontrollable reaction from the priestess that resulted in her death a few days later. At times when the Pythia was not available, consultants could obtain guidance by asking simple Yes-or-No questions to the priests. A response was returned through the tossing of colored beans, one color designating "yes," another "no." Little else is known of this practice. Between 535 and 615 of the Oracles of Delphi are known to have survived since classical times, of which over half are said to be accurate historically (see the article Famous Oracular Statements from Delphi for some examples). In antiquity, the people who went to the Oracle to ask for advice were known as “consultants,” literally, “those who seek counsel.”. It would appear that the supplicant to the oracle would undergo a four-stage process, typical of shamanic journeys. There have been many attempts to find a scientific explanation for the Pythia's inspiration. However, most commonly, these refer to an observation made by Plutarch, who presided as high priest at Delphi for several years, who stated that her oracular powers appeared to be associated with vapors from the Kerna spring waters that flowed under the temple. It has often been suggested that these vapors may have been hallucinogenic gases. Beginning during 1892, a team of French archaeologists directed by Théophile Homolle of the Collège de France excavated the site at Delphi. Contrary to ancient literature, they found no fissure and no possible means for the production of fumes. Adolphe Paul Oppé published an influential article in 1904, which made three crucial claims: No chasm or vapor ever existed; no natural gas could create prophetic visions; and the recorded incidents of a priestess undergoing violent and often deadly reactions was inconsistent with the more customary reports. Oppé explained away all the ancient testimony as being reports of gullible travelers fooled by wily local guides who, Oppé believed, invented the details of a chasm and a vapor in the first place. In accordance with this definitive statement, such scholars as Frederick Poulson, E.R. Dodds, Joseph Fontenrose, and Saul Levin all stated that there were no vapors and no chasm. For the decades to follow, scientists and scholars believed the ancient descriptions of a sacred, inspiring pneuma to be fallacious. During 1950, the French hellenist Pierre Amandry, who had worked at Delphi and later directed the French excavations there, concurred with Oppé's pronouncements, claiming that gaseous emissions were not even possible in a volcanic zone such as Delphi. Neither Oppé nor Amandry were geologists, though, and no geologists had been involved in the debate up to that point. Subsequent re-examination of the French excavations, however, has shown that this consensus may have been mistaken. Broad (2007) demonstrates that a French photograph of the excavated interior of the temple clearly depicts a springlike pool as well as a number of small vertical fissures, indicating numerous pathways by which vapors could enter the base of the temple. During the 1980s, the interdisciplinary team of geologist Jelle Zeilinga de Boer, archaeologist John R. Hale, forensic chemist Jeffrey P. Chanton, and toxicologist Henry R. Spiller investigated the site at Delphi using this photograph and other sources as evidence, as part of a United Nations survey of all active faults in Greece. They also found evidence for underground passages and chambers, and drains for spring water. Additionally, they discovered at the site formations of travertine, a form of calcite created when water flows through limestone and dissolves calcium carbonate, which is later redeposited. Further investigation revealed that deep beneath the Delphi region lies bituminous deposit, rich in hydrocarbons and full of pitch, that has a petrochemical content as high as 20%. Friction created by earthquakes heat the bituminous layers resulting in vaporization of the hydrocarbons which rise to the surface through small fissures in the rock. Not often nor regularly, but occasionally and fortuitously, the room in which they seat the god's consultants is filled with a fragrance and breeze, as if the adyton were sending forth the essences of the sweetest and most expensive perfumes from a spring (Plutarch Moralia 437c). De Boer's research caused him to speculate ethylene as a gas known to possess this sweet odor. Toxicologist Henry R. Spiller specified that inhalation of even a small amount of ethylene can cause both benign trances and euphoric frenzied states. 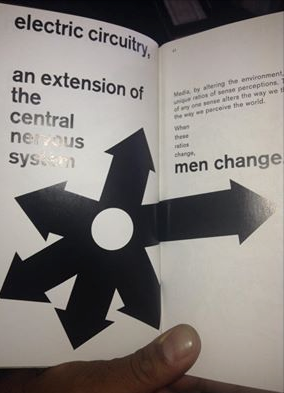 Other effects include physical detachment, loss of inhibitions, the relieving of pain, and rapidly changing moods without dulling consciousness. He also noted that uncontrolled doses can cause confusion, agitation, delirium, and loss of muscle coordination. Anesthesiologist Isabella Herb found that a dose of 20% ethylene gas administered to a subject was a threshold. A dosage higher than 20% caused unconsciousness. With less than 20% a trance was induced where the subject could sit up, hear questions and answer them logically, although the tone of their voice might be altered, their speech pattern could be changed, and they may have lost some awareness of their hands and feet, (with some it was possible to have poked a pin or pricked them with a knife and they would not feel it). When patients were removed from the area where the gas accumulated they had no recollection of what had happened, or what they had said. With a dosage of more than 20% the patient lost control over the movement of their limbs and may thrash wildly, groaning in strange voices, losing balance and frequently repeatedly falling. All of these symptoms match the experience of the Pythia in action, as related by Plutarch, who witnessed many prophecies. During 2001, water samples from the nearby springs yielded evidence of the presence of the hallucinogenic hydrocarbon. The Kerna spring, originating uphill from the temple, yielded 0.3 parts per million of ethylene. Presently, the waters of the Kerma spring are diverted from the temple for use by the nearby modern town of Delphi. It is unknown the degree to which ethylene or other gases would be detected at the temple should these waters still flow freely, as they did in the ancient world. Chunks of travertine, calcareous rock formed of mineral spring deposits, were also extracted from the temple and tested, but no traces of ethylene were identified. The nature of the hydrocarbon accounts for this. Ethylene is extremely light and volatile, having a highly reactive nature, and therefore could have presumably escaped the rock long ago. By testing the samples from the spring water, the team was at least able to identify the substance's current presence at the site, giving them insight that a presumably larger quantity existed in the waters thousands of years earlier. Frequent earthquakes produced by the fact that Greece lies at the intersection of three separate tectonic plates seem to have been responsible for the observed cracking of the limestone, and the opening up of new channels by which hydrocarbons enter the flowing waters of the Kassotis. This would cause the amounts of ethylene emitted to fluctuate, increasing or decreasing the potency of the drug released, over time. It has been suggested that the decrease of importance of the Oracle after the era of Roman Emperor Hadrian was due in part to the fact that there had not been an earthquake in the area for a significant time. Another interpretation, by art historian Merlin Stone, suggests the use of venom rather than ethylene. She indicates that when people, after having been immunized against snake-bite, are bitten by a venomous snake, particularly by krait, cobra or another elapids, they experience an emotional and mental state that has been compared to the effects of hallucinogenic substances. Jump up ^ ""Pythia" main entry Random House Dictionary (American), further down Collins Dictionary (British)". Dictionary.com. Jump up ^ Morgan 1990, p. 148. Jump up ^ see discussion in Deitrich, Bernard C. (1992), "Divine Madness and Conflict at Delphi" (Kernos 5) PDF at http://scholar.google.com/scholar?hl=en&q=Mycenaean+Delphi&btnG=&as_sdt=1%2C5&as_sdtp= Jump up ^ Fortenrose. J. (1959) "Python. A Study ofDelphic Myth and Its Origins, (Berkeley) Jump up ^ Homeric Hymn to Apollo 363–369. Jump up ^ For an example, see Lewis Farnell, The Cults of the Greek States, 1907, vol. IV, p.189. "But all this came to be merely considered as an accessory, leading up to the great moment when the Pythoness ascended into the tripod, and, filled with the divine afflatus which at least the latter ages believed to ascend in vapour from a fissure in the ground, burst forth into wild utterance, which was probably some kind of articulate speech, and which the Ὅσιοι [Osioi], 'the holy ones', who, with the prophet, sat around the tripod, knew well how to interpret. ... What was essential to Delphic divination, then, was the frenzy of the Pythoness and the sounds which she uttered in this state which were interpreted by the Ὅσιοι [Osioi] and the 'prophet' according to some conventional code of their own." Jump up ^ Lehoux, 2007 Jump up ^ Piccardi, 2000; Spiller et al., 2000; de Boer, et al., 2001; Hale et al. 2003; Etiope et al., 2006; Piccardi et al., 2008. Jump up ^ Mason, Betsy. The Prophet of Gases in ScienceNow Daily News 2 October 2006. Retrieved 11 October 2006. Jump up ^ Fontenrose 1978, pp. 196–227; Maurizio 2001, pp. 38–54. Jump up ^ Forrest, W.G. (1957), "Colonisation and the Rise of Delphi" (Historia: Zeitschrift für Alte Geschichte Bd. 6, H. 2 (Apr., 1957), pp. 160–175) Jump up ^ Martin L. West, Homeric Hymns, pp 9–12, gives a summary for this dating, at or soon after the inauguration of chariot-racing at the Pythian Games, 582 BC; M. Chappell, "Delphi and the Homeric Hymn to Apollo", Classical Quarterly 56 (2006:331-48) ^ Jump up to: a b As Robin Lane Fox observes in discussing this origin of the Delphic priesthood, in Travelling Heroes in the Epic Age of Homer, 2008:341ff. Jump up ^ Huxley, "Cretan Paiawones". Greek, Roman and Byzantine Studies 16 (1975:119-24) p. 122, noted by Fox 2008:343. Jump up ^ Fox 2008:342. Jump up ^ Diodorus Siculus 16.26.1–4. Jump up ^ Broad, W. J. (2007), p.21. It was also said that the young woman was given a tripod on which to be seated, which acted on behalf of her own safety during her frenzied states. Jump up ^ Smith's Dictionary of Greek and Roman Biography and Mythology notes on this point Ovid, Metamorphoses i. 321, iv. 642; Apollonius Rhodius, Argonautica iv. 800; Servius, commentary on the Aeneid iv. 246; pseudo-Apollodorus, Bibliotheke i. 4. § 1 ; Pausanias x. 5. § 3; Aeschylus, The Eumenides opening lines; see excerpts in translation at Theoi Project: Themis. Jump up ^ D. S. Robertson, "The Delphian Succession in the Opening of the Eumenides" The Classical Review 55. 2 (September 1941, pp. 69–70) p. 69, reasoning that in the three great allotments of oracular powers at Delphi, corresponding to the three generations of the gods, "Ouranos, as was fitting, gave the oracle to his wife Gaia and Kronos appropriately allotted it to his sister Themis." In Zeus' turn to make the gift, however, Aeschylus could not report that the oracle was given directly to Apollo, who had not yet been born, Robertson notes, and thus Phoebe was interposed. However, the usual modern reconstruction of the sacred site's pre-Olympian history does not indicate dedications to these earlier gods. Jump up ^ Broad, W. J. (2007), p.30-31 Jump up ^ Martin Litchfield West, The Orphic Poems, p.147. "The Pythia resembles a shamaness at least to the extent that she communicates with her [deity] while in a state of trance, and conveys as much to those present by uttering unintelligible words. [cf. Spirit Language, Mircea Eliade]. It is particularly striking that she sits on a cauldron supported by a tripod, reiterating the triad of the great goddess. This eccentric perch can hardly be explained except as a symbolic boiling, and, as such, it looks very much like a reminiscence of the initiatory boiling of the shaman translated from hallucinatory experience into concrete visual terms. It was in this same cauldron, probably, that the Titans boiled Dionysus in the version of the story known to Callimachus and Euphorion, and his remains were interred close by". Jump up ^ William Godwin (1876). "Lives of the Necromancers". p. 11. Jump up ^ Πάνος Βαλαβάνης, Ιερά και Αγώνες στην Αρχαία Ελλάδα. Ολυμπία – Δελφοί – Ίσθμια – Νέμεα – Αθήνα, Αθήνα, 2004, 176. Jump up ^ Γιάννης Λάμψας, Λεξικό του Αρχαίου Κόσμου, τ. Α’, Αθήνα, εκδόσεις Δομή, 1984, 758. Jump up ^ Broad, W. J. (2007), p.31-32 Jump up ^ Herbert W Parke, History of the Delphic Oracle and H.W. Parke and D.E.W. Wormell The Delphic oracle, 1956 Volume 1: The history attempt the complicated reconstruction of the oracle's institutions; a recent comparison of the process of select at Delphi with Near Eastern oracles is part of Herbert B. Huffman, "The Oracular Process: Delphi and the Near East" Vetus Testamentum 57.4, (2007:449–60). ^ Jump up to: a b Godwin 1876, p. 11. Jump up ^ quoted in an interview on the radio program "The Ark", transcript available. Jump up ^ Broad, W. J. (2007), p.32 Jump up ^ Plutarch Moralia 414b. Jump up ^ "Plutarch • On the Failure of Oracles". Penelope.uchicago.edu. Retrieved 2012-03-19. Jump up ^ On the temple personnel, see Roux 1976, pp. 54–63. Jump up ^ Bowden 2005, pp. 15–16; see also Herodotus 8.36, Euripides Ion 413–416. Jump up ^ Plutarch, op cit Jump up ^ Broad, W. J. (2007), p.34-36. Jump up ^ Hodge, A. Trevor. "The Mystery of Apollo's E at Delphi," American Journal of Archaeology, Vol. 85, No. 1. (Jan., 1981), pp. 83–84. Jump up ^ Plato, Charmides 164d–165a. Jump up ^ Plato, Protagoras 343a–b. Jump up ^ Broad, W. J. (2007), p.38-40 Jump up ^ Fontenrose, op cit Jump up ^ Godwin 1876, p. 12. Jump up ^ http://www.wisecounselresearch.com/research/portrait-gallery/delphic-oracle sighted 14/5/2013 Jump up ^ Fontenrose, Joseph (1981), "Delphic Oracle: Its Responses and Operations". (Uni of Calif. Press) Jump up ^ J.Z. De Boer, and J. R. Hale. “The Geological Origins of the Oracle of Delphi, Greece,” in W.G. McGuire, D.R. Griffiths, P Hancock, and I.S. Stewart, eds. The Archaeology of Geological Catastrophes. (Geological Society of London) 2000. Popular accounts in A&E Television Networks. History Channel documentary Oracle at Delphi, Secrets Revealed, 2003, and in William J. Broad, The Oracle: The Lost Secrets and Hidden Message of Ancient Delphi. (New York: Penguin) 2006. ^ Jump up to: a b Delphi, the OIracle of Apollo from Adventures in Archaeology ^ Jump up to: a b The Oracle at Delphi Medb hErren Jump up ^ Broad W.J. (2007), pp. 146–7: "[A] French photo of the temple's interior showed not only a spring-like pool but fissures... in the bedrock, suggesting a specific pathway by which intoxicating gases could have risen into the oracle's sanctum... What delighted de Boer so much was not the verification of the spring-like pool at the heart of the chasm, as the revelation of the bedrock's composition... there right above the waterline, the photograph clearly showed vertical fissures running through the bedrock. No denial could hide that fact, no scholarly disclaimer could deny the reality.... [The] cracks ...[showed] evidence of tectonic jolts and protracted flows of mineralized water." Jump up ^ Jelle Zeilinga de Boer – Retrieved on 2006-10-01. Jump up ^ John R. Hale – Retrieved on 2006-10-01. Jump up ^ Jeffrey P. Chanton – Retrieved on 2006-10-01. Jump up ^ Henry R. Spiller – Retrieved on 2006-10-01. ^ Jump up to: a b Broad (2007), p. 155-7 Jump up ^ In the French excavation report on the temple, Fernand Courby shows that the adyton was unlike those found in other temples as it was not central, but on the southwestern side, interrupting the normal symmetry of the Doric temple. It was divided into two areas, one small area 9 by 16 feet for the oracle, one for the supplicant. Modern research reported by Broad (p. 37) suggests that both the supplicant and the Pythia descended a flight of five steps into a small room within the temple with its own low ceiling. Walter Miller has argued that the stone block of 3.5–4 feet, that Courby described as being part of the floor, was in fact the site where the oracle sat. It showed a square 6 inch hole, that widened to 9 inches, immediately under the triangular grooves for the tripod. Strange channels, possibly to carry water from the spring, surrounded the tripodal grooves. That these had in fact carried waters for long periods was confirmed by the layers of travertine that encrusted it. Nothing like this has been found at any other Greek temple. Holland (1933) argues that these channels and the hollow nature of the omphalos found by the French would channel the vapors of intoxicant gases. Jump up ^ Broad (2007), p. 172 Jump up ^ Broad (2007), p.212-4 Jump up ^ Interview with John R. Hale on the Delphic Oracle, ABC News, Australia – (Retrieved on 2006-04-20) Jump up ^ Broad (2007), p. 198. Methane (15.3 parts per million) and ethane (0.2 ppm) were also detected in the Kerna sample. However, the intoxicating effects of ethylene are more powerful than those of methane or ethane. Jump up ^ "the Kerna Spring, once alive but now vanished since Greek engineers had re-routed its waters to supply the town of Delphi" Tests from a number of nearby sites showed the concentration of Ethylene at Kerna was ten times that of other nearby springs. In an interview reported in Broad (2006, p. 152), de Boer stated that "the Kerna sample, because of the spring's rerouting, had to be drawn from a city's holding tank... letting some of the gas escape as it sat... and lessened the water concentrations. If so the actual levels of the methane, ethane and ethylene that came out of the ground would have been higher". Any two people in a relationship need space. They could use space to create shared memories together. Get this right first, then start extending into entire families after we master couples. I've known about the back button thing. That'll take some work to fix. You gotta ask a question and then think about it some? So this is for that. The Goal Note should be shorter and its default content should be empty. IMGUR: which link to use? The images you've embedded from EverNote 403 for me (and everyone else), because I don't have permission to see them. I wish their servers would 403 faster, because it blocks the page from fully loading. For example, /spex takes a while to load due to this issue. UPDATE: The situation was probably exacerbated by a bad internet connection. MetaNotes focuses on your goals if possible. Now you can see who's online and what space they're in. 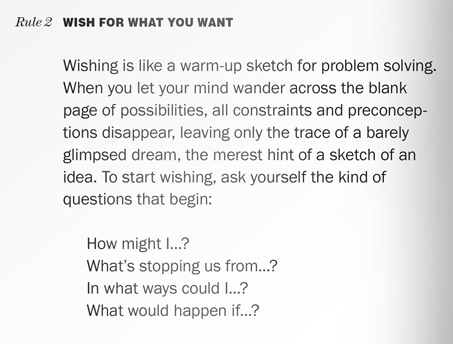 We want to help you write up your WISH so you can take your time, do your research and then make it come true. Give yourself space to get to your WISH and make sure you're always able to keep your space up to date. Let's make some progress towards our WISH today. 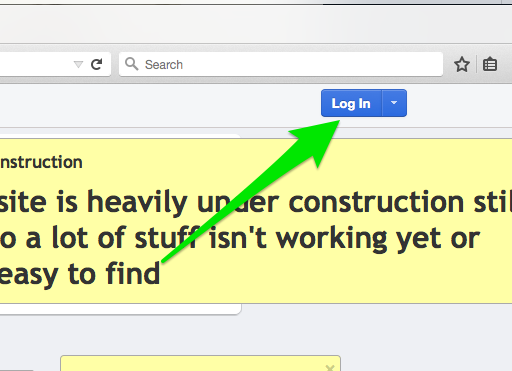 Notifications when users enter and leave a space. You'll see them in the bottom left corner. A print stylesheet has been added, so you can Ctrl-P and then choose to save a space as a PDF. If nothing else, this should facilitate easier copying and pasting of note content to Word. I recommend saving the PDFs in Landscape mode (as opposed to the default Portrait mode). It'll let you fit more notes on the page horizontally. Now I'm feeling like I have not expressed my WISH properly in SO LONG. ...this will help you in your book writing projects. The more you type the more you know you've thought out where you stand about whatever you're after and the more you update your space the closer you get to your WISH. cursor still blinking before the "* " in Safari. Made the mobile UI barely good enough so that you can log in from there. I didn't realize position:fixed worked so poorly on mobile. Next on my metanotes agenda is working on parsing the text of notes to interpret #hashtags, @atmessages, youtube links, etc. UPDATE: Of course, I'd like to get images to autoembed, too. URLs now turn into clickable links. 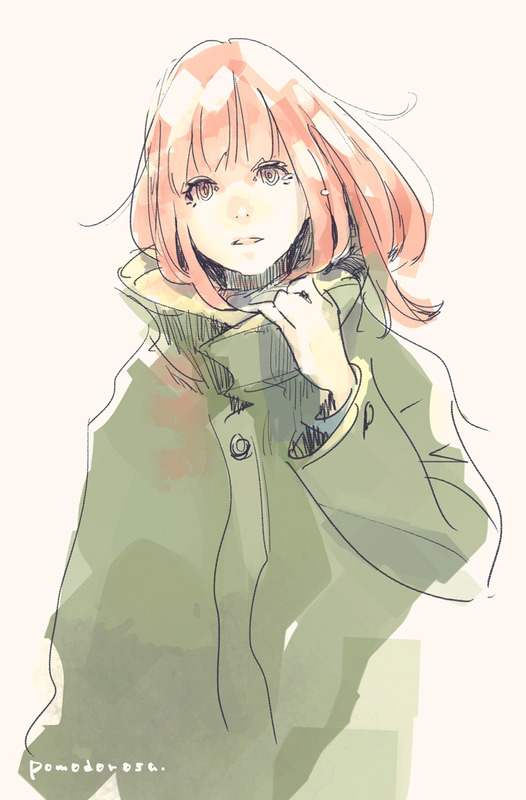 that'd be amazing if just pasting a URL of an image makes that image show up in the note, wow. edit and resave and the links should be converted. can we still use this? This lists newest notes first (oldest notes last). The panel icons have been updated. There are still some unicode problems to fix, but this space was previously unreachable. Notes not by you have attribution links. Fixed space creation and note creation bugs where unicode in the path names were causing problems. I have provisioned a new server to host MetaNotes on, but I haven't moved anything there, yet. MetaNotes is running on the new server. YCTHere is not, but it's going to get turned into a panel in the near future. Now that I can identify at-notation (@sri) when it occurs in note bodies, I can begin to take extra actions when I notice them. The first use of this will be to notify other users that they've been mentioned in a space. This will be a way of summoning them. I find that I make a lot of private spaces, and they're usually the most interesting ones. However, I would like to see public spaces be useful and interesting, too. I envision this - this is the spec. you've got this document - the "truth" as it were - and you invite commentary on each and every single point in it. every bullet point has "add comment" and "read comments" hyperlinks. Ideally, the "read comments" hyperlinks also indicate how many comments have been added to that particular truth. If notes could have comments attached to them, MetaNotes could fulfill this spec, too. Added counts to Who's Online panel and Notes panel. @sri I wish you didn't go crazy in /music. YouTube embedding isn't efficient yet. Changed default note background color to #ffa. Went back to singular "GOAL" note with default content being "#". It can scroll the x-axis but not the y-axis for some unknown reason. Matt (a programmer friend of mine) suggested providing an integration with https://www.blossom.io/ . this is so great :D i saw it this morning and was like whooooooo !! If you see this, make an account and let me know what it is, so I can give you access to some private spaces. I'll also get you a shell account on the main server for metanotes.com. like a scratch piece of paper? In metanotes. Why do side projects die?